Relational Theory for Clinical Practice offers students and practitioners a conceptual framework for thinking relationally about social work with clients within a biological, psychological, and socio-cultural framework. Integrating relational theory with the principles of clinical practice, and demonstrating how this can be applied to social work practice, this book has been revised and updated to be suitable for students. Using plenty of　case material to demonstrate the theory in action, the new edition incorporates teaching points to aid readers in drawing out the practice principles developed in each chapter. Keeping relationships at the center of the text, this edition includes substantially expanded chapters on assessment and intervention, and takes into account recent research on issues such as the impact of trauma and stress; neuroscience and brain research; and the necessity of practicing in a culturally sensitive way with diverse populations. It broadens the feminist focus of relational-cultural theory by extending and applying it to men also. Designed for use on master's level courses in practice, as well as courses on human behavior and the social environment, this concise and practical book is a valuable text for social work and counseling students. In Relational Theory for Clinical Practice, Sharon Freedberg places relationships at the heart of social work. Using historical analysis and case studies, Freedberg draws connections to practice approaches through the application of relational-cultural theory. She challenges us to reconsider concepts such as transference, mutuality, self-disclosure, boundaries, and the worker-client partnership through a relational lens. This book is invaluable for all social workers, no matter their practice context, to more fully understand human behavior and appreciate our profession’s relationship focus. Professor Marcie Lazzari, Social Work Program, University of Washington Tacoma, USA. Dr. Sharon Feedberg has triumphed once again in this thoughtfully updated second edition of Relational theory for clinical practice. Informed by the latest developments in the neuroscience field, contemporary psychodynamic thinking and the historical contributions of seminal clinical social work scholars, Dr. Freedberg has made clear what relational theory means for social work clinicians. She offers a well-organized and very readable contribution to the profession’s clinical literature. Through theory and its application to practice, Dr. Freedberg illuminates and demonstrates for clinical practitioners the utility and humanness of the relational approach in meeting the psychosocial needs of diverse individuals, families and groups. Treating and solving problems-in-living is never simple—but the relational conceptual underpinnings and practice applications found within this text provide a critically relevant treatment model that opens the door for effective and comprehensive clinical care. In a highly competent and insightful manner this book underscores why and how relational theory is truly a bridge between the internal-psychological world of the individual and the social environment. This text is a must read for clinical practitioners and educators who value the healing and therapeutic effects of connection to others and recognize that psychosocial well-being and functioning is influenced by past and present relationships. 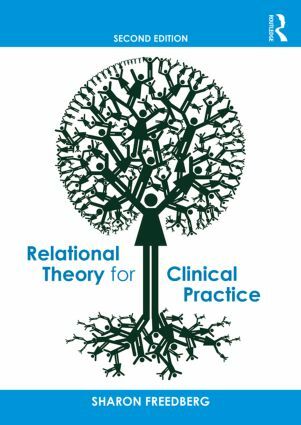 Relational Theory for Clinical Practice offers a comprehensive overview, both of the conceptual foundation, as well as the practice implications, for this important treatment modality. What is particularly noteworthy in this book is how Dr. Freedberg incorporates feminist theory, as well as ethical principles, to enhance readers’ understanding and use of relational therapy. In Relational Theory for Clinical Practice,Sharon Freedbergprovides a dynamic examination of the helping process. Using a social work historical lens, the author creatively integrates a social work perspective with relational theory. Complex ideas about relational theory are discussed and illustrated with humanity, clarity and without jargon. The book is laced with compelling case illustrations that make the theory and practice principles come to life. The author’s talents as a scholar, educator and clinician are combined to provide us with this magnificent book. Sharon Freedberg is an Associate Professor in the Department of Social Work, and Interim Associate Dean of the School of Health Sciences, Human Services, and Nursing at Lehman College, City University of New York, USA.